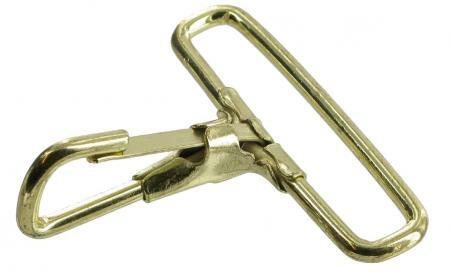 Snap Hook in Chrome or Brass Finish for straps up to 51mm wide. This replacement snap hook suits many shoulder straps. It comes in a chrome or brass finish. It will accommodate a strap of 2 inches (51mm) in width. Overall length 52mm.